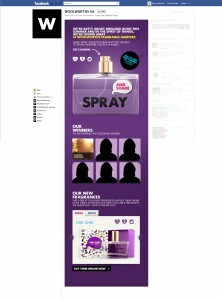 The Woolworths Fragrances Spray and Share Facebook competition, where you could win your fragrance of choice over a 14 day period. 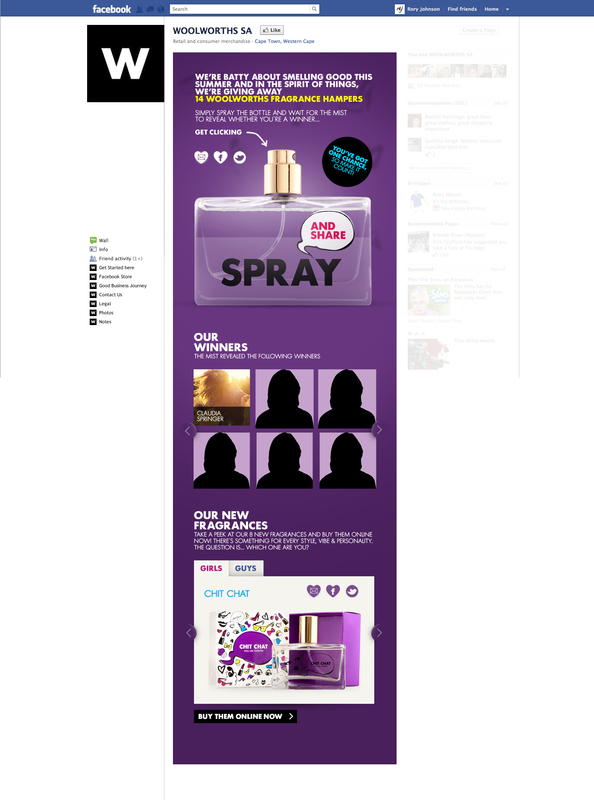 Entrants entered on Woolworths Facebook page by spraying the large fragrance bottle on the “Spray to Win” tab. 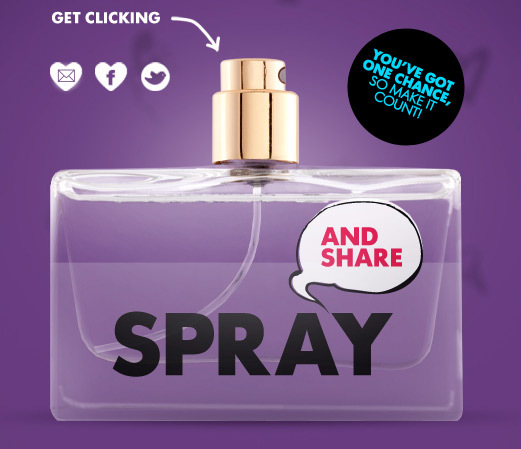 On clicking the spray button, the fragrance mist would reveal whether or not you were a winner. The competition has closed, but a demo version can be seen here.